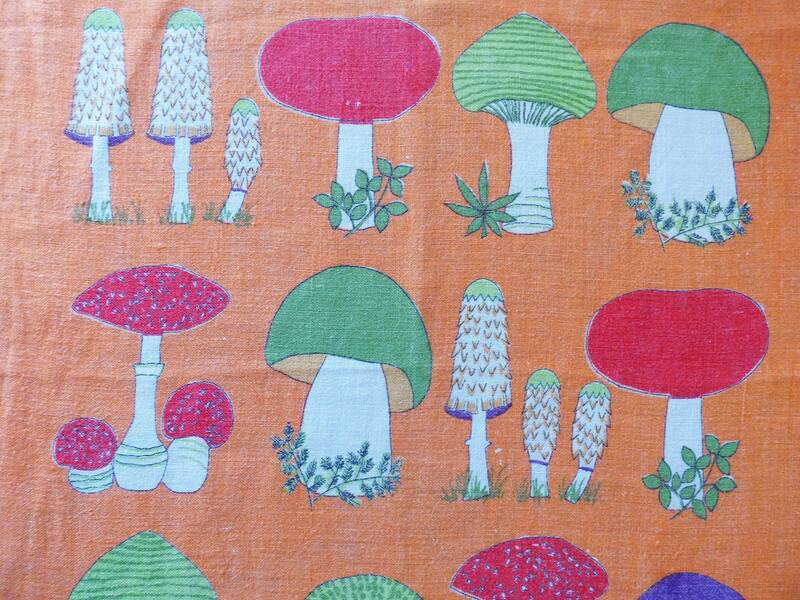 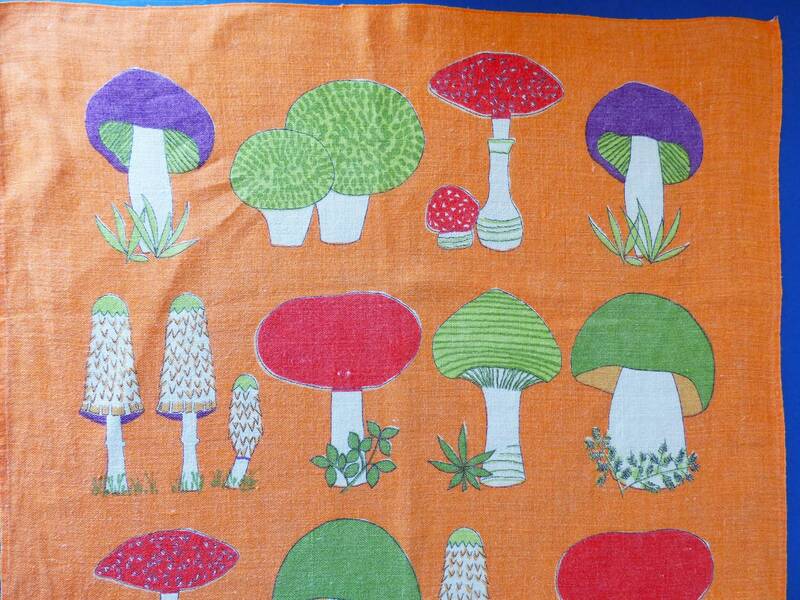 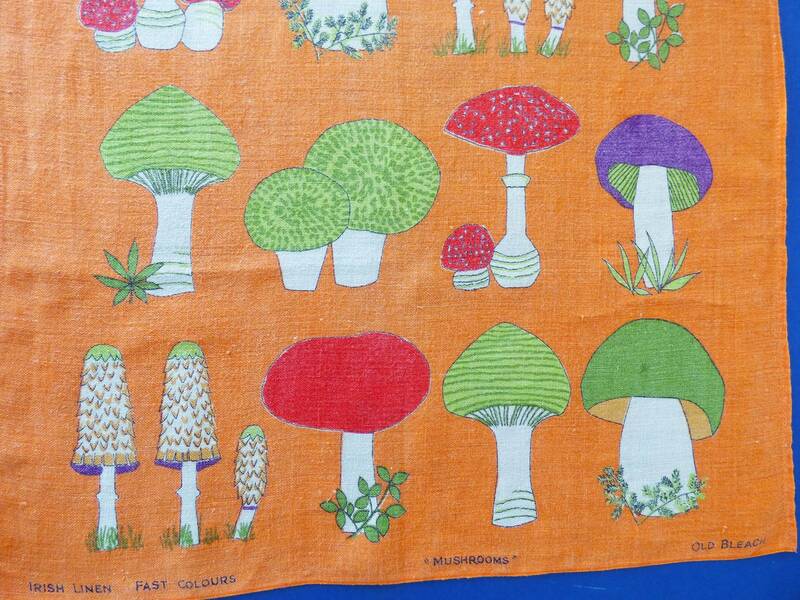 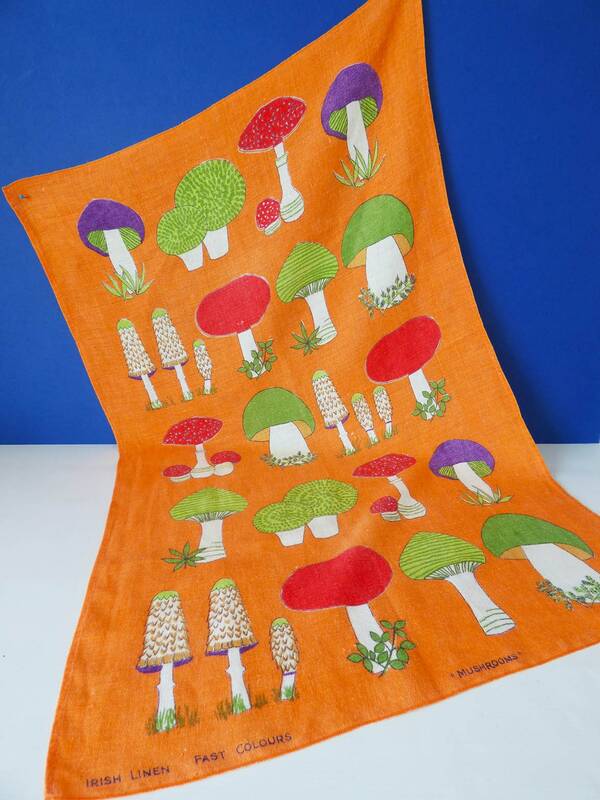 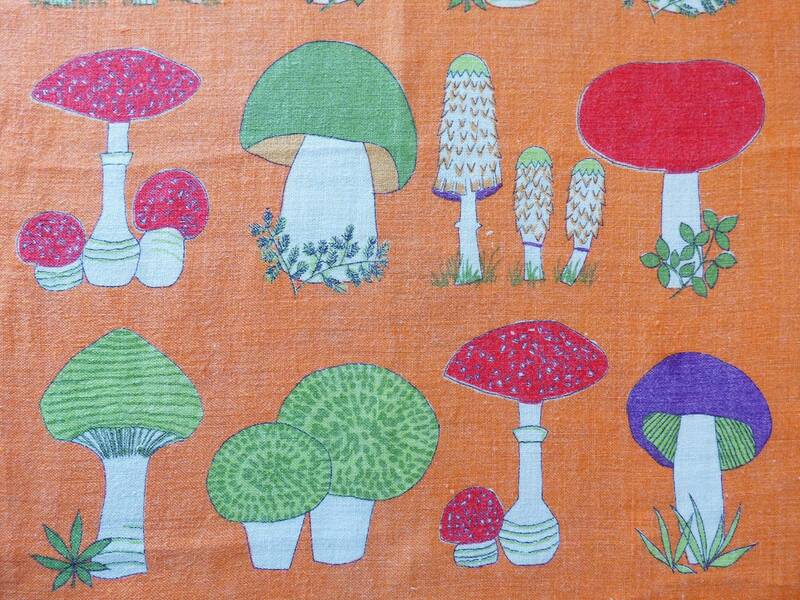 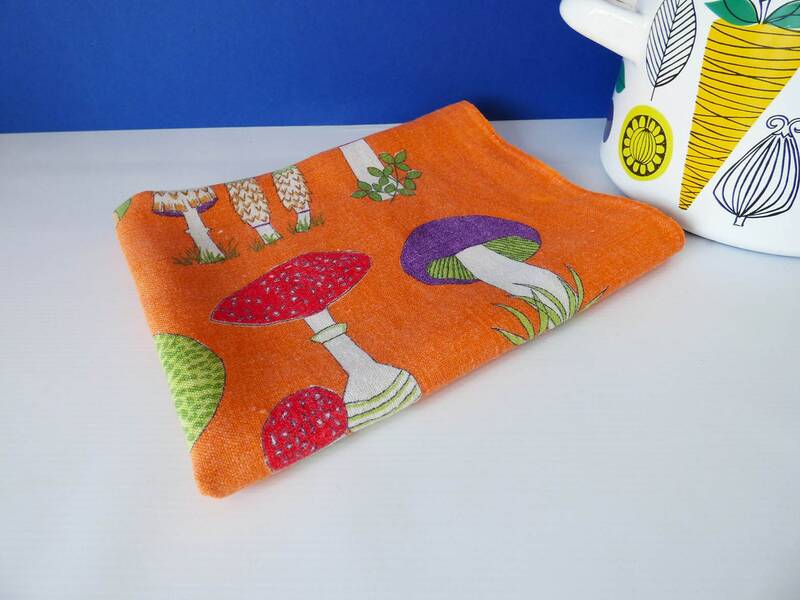 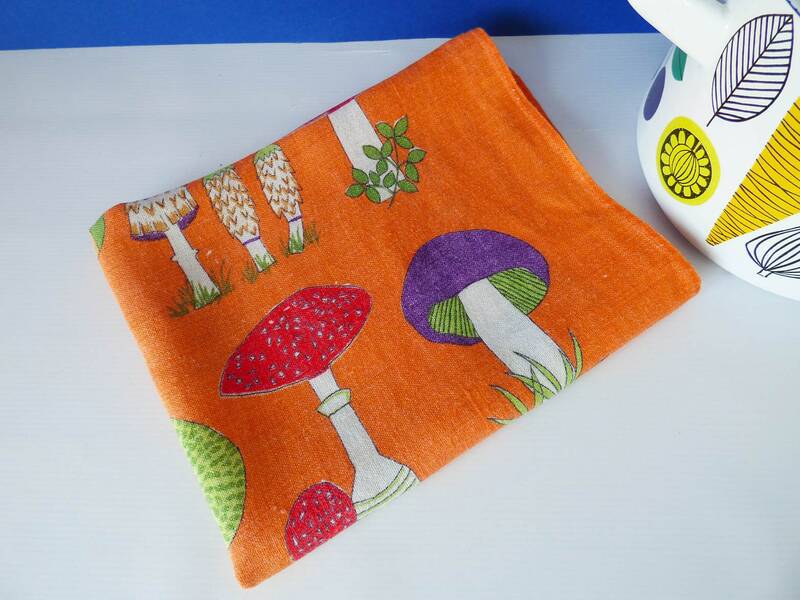 Beautiful linen tea towel with a wonderful illustration of brightly coloured mushrooms and toadstools created for the company Old Bleach, in Irish Linen. 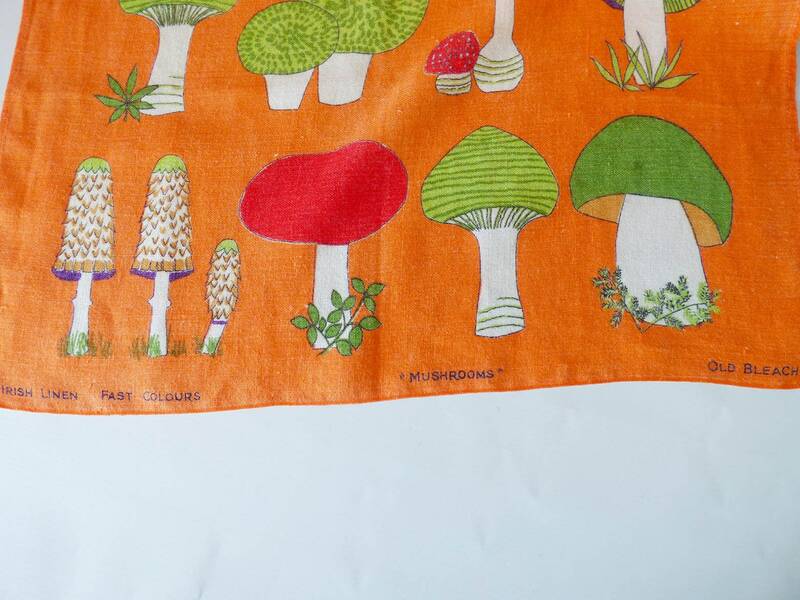 Far too nice to use as a tea towel, this piece is in great condition, although it has been used it is clean with no stains, due to washing the linen is now soft and floppy and the colours may be a very slightly faded from age. 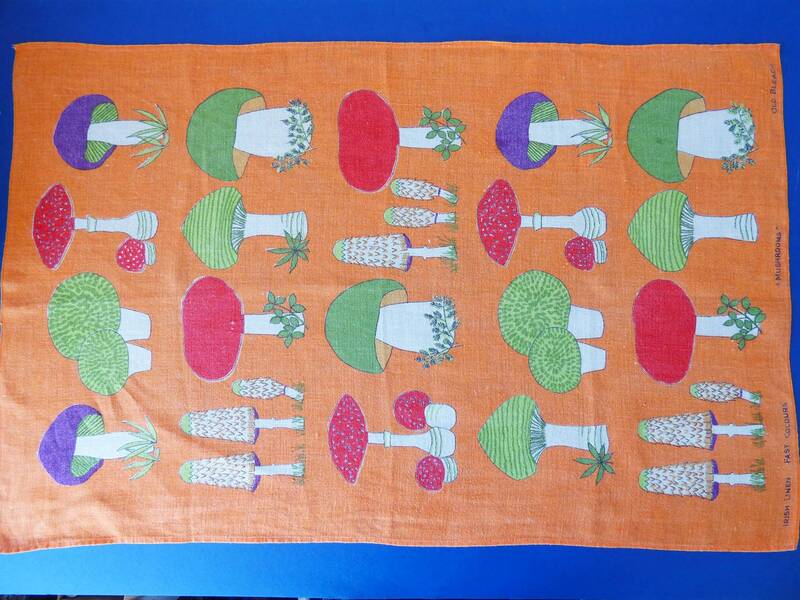 Measuring 49.5 cm x 76.5cm it is perfect for framing or hanging.